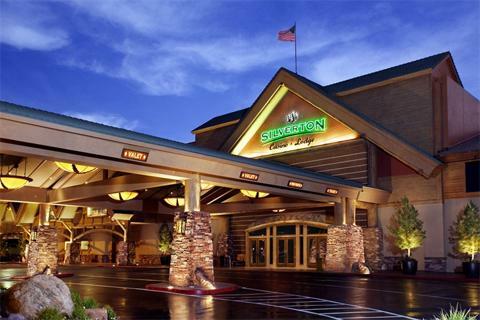 With all the announced South Strip developments and the South Point Resort now open, the Silverton hotel and casino, located at Blue Diamond Road and I-15, revealed plans to build a new rooms tower and expand the existing casino in 2008. The rooms tower was put on hold. It's a continuation of their recent $150-million upgrade and expansion that included: renovating the casino and hotel, opening a major sporting goods chain, adding new restaurants, and building a huge saltwater aquarium with a "mermaid" show. 30,000-square feet of meeting space and a parking garage was added to the existing resort in 2009.